Leo Vegas Live Roulette April Promotion - Win a Home Cinema. There’s plenty of great prizes on offer during April when you play in the Leo Vegas Live Roulette April promotion. A Magic Wand remote control. 100’s of Free spins on Pyramid: Quest for Immortality. The promotion is split into 3 elements. All play will be on the NetEnt Live Roulette promotion tables that are open from 13:00 each day of the promotion. 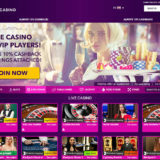 The promotion is also available at other Netent live casinos that have joined this network promotion. Monday 3rd to Wednesday 5th April – Play on the NetEnt Live Roulette Match Point Table. You’ll get 1 ticket for the prize draw for every 10 rounds you play. The prize draw will be held on the 6th April. 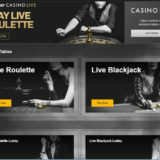 Monday 10th to Wednesday 12th April – Play on the NetEnt Live Roulette Match Point Table. The prize draw will be held on the 13th April. Monday 17th to Wednesday 19th April – Play on the NetEnt Live Roulette Match Point Table. The prize draw will be held on the 21st April. 2nd-10th Place – Magic Wand Remote Control. 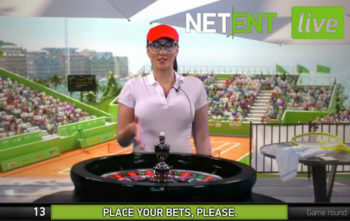 Monday 24th to Wednesday 26th April – Play on the NetEnt Live Roulette Match Point Table. The prize draw will be held on the 28th April. Play on the Pyramid Live Roulette table on Thursday 6th, Friday 7th, Thursday 13th, Friday 14th, Thursday 20th, Friday 21st, Thursday 27th, Friday 28th. Play 20 rounds and get 50 free spins on Pyramid: Quest for Immortality. 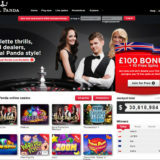 Maximum of 50 free spins a day & 400 over the promotion period.